Reduce diffuse pollution causing losses of pesticides, phosphate and sediment, which are a high priority for water quality in the Tern catchment. This will also help to address the social priority of improving the quality of raw drinking water in this Drinking Water Safeguard Zone. 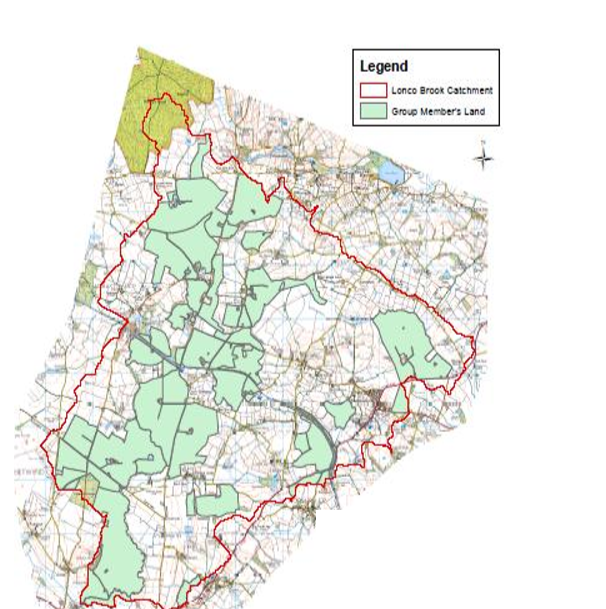 Priority Habitats: The catchment has several areas of deciduous woodland, in itself a priority habitat, many of which contain areas of wet woodland, identified as a priority habitat for the NCA. Work to improve water quality in the catchment will help to support the quality of wet woodland habitat and we will encourage members to consider woodland management or creation as an option where appropriate. There are also several existing areas of good-quality semi-improved grassland in the catchment, we aim to support and if possible increase the area of this habitat. Priority Species: Appropriate use of grassland/arable options and capital items will benefit populations of local priority farmland birds in particular: ground nesting grassland and wader species including lapwing and curlew which have been recorded over most of the catchment; birds associated with arable land including corn bunting and grey partridge which have been recorded over most of the catchment, and turtle dove which has been recorded in the south-east of the catchment. The whole of the catchment area lies in a hot spot for the Farmland Package of options for Farmland Birds and the east of the catchment is a hot spot for pollinators. Members will be encouraged to provide year round nesting, resting and foraging habitat for birds and pollinators. Landscape. Maintenance and restoration of hedgerows, hedgerow trees, infield trees and ponds are all NCA level priorities that we will aim to support.